CONGRATS 5th Grade Girls Division 3 Metro West Champions! New Parents will need to set your family’s profile and assign a password to the account. Once set up, just follow the steps for the registration – see below for details. Registration fees vary depending on grade. See below for more details. Winter Recreation Basketball will start the week of November 26th. Travel Tryouts start Monday, October 1st and will go for 2 weeks. There are 2 mandatory tryouts per grade level. Travel practices start at end of October. Winter Recreation will be $70 (1st & 2nd) or $120 (3rd to 8th grade) and Travel will be $225, if the player makes the team(s). If a Player plays both Recreation and Travel then a $50 discount will be credited to their account so the total for both is $295. NYBA Board volunteers continue to subsidize all fees by planning clinics, events, and having sponsors. We will review fees annually. The NYBA highly recommends that travel players play Recreation, but it is optional. Injured players - before 5 games, Full Refund. After 5 games it will be pro-rated. Non Injured players - during open registration, Full Refund. After registration, but prior to team assignment, $25 admin fee. After team assignment, No Refund. Sponsorship Packages are available – see web site for details on different packages. Apparel Store will be available in September. Recreation League: The league will run from 11/26 through late February or early March, 2019. Boys and Girls grade levels will have separate leagues for all ages. The 1st/2nd grade level program will play one “practice/game” during the week. The 3rd/4th grade program will play games on Saturday plus one weekly practice. These grades will be separated, if possible - depending on numbers, for both boys and girls and each grade to allow 3rd graders to learn the new rules, etc. The 5th / 6th grade programs will play games on Saturdays plus one weekly practice. These grades can be separated for each grade as well. The 7th/8th Boy’s grade will play games on Saturdays; however, there will be some games in later January and February during the week. There will be one night of practice during the week. This will include a team practice or skills practice with mixed teams. There will also be playoffs this year and records will be kept. Individual and Team pictures will be held sometime in early December and January. The pictures are sent to our sponsors so full team attendance is greatly appreciated. Recreational leagues will not play games or practice during school vacation weeks. Travel Team: Tryouts will begin October 1st and last for approximately 2 weeks. The 2 mandatory tryouts per grade schedules will be posted on the website in mid-September. We have a separate registration for the travel team. You are required to register your child in the Recreation section as well. Simply pick your grade on the registration tab and register. Players cannot tryout if not registered. There will be a charge of $225.00 for travel team players as well as uniform costs ($45-$55). Travel apparel is also available. For those trying out for Travel Teams you must be registered prior to the tryouts. There may be at least one Travel Team per grade group for boys and girls (4th -8th Grades).We will discuss adding more teams if there is sufficient tryout numbers and qualified coaches. Coaches need to submit their application every year. Please check the web site “Coaching Materials” section for the application and send to Rich Rafferty – email below. A mandatory travel coaches meeting will take place as well. For travel team tryouts, please watch the web site for information, times and locations. The Travel Team Coordinator, Rich Rafferty, will coordinate the tryout schedule. He can be reached at JeanneRafferty@verizon.net . Players selected to a Travel team will pay an additional $225. . This is on top of the Registration fee. If they also play recreation, a $50 discount will be applied. Please submit all registrations ON-LINE. Please complete a Separate registration form for EACH player. There is a separate registration process for travel and recreational. The On-Line Registration Deadline is September 30th. Late registrations will be charged $20.00. Email questions to Registrar at . Annual Coaches Meeting: this meeting will be held in the last week of October or 1st week in November at a date, time and place to be announced. We highly encourage all parents to participate in coaching. The Recreational leagues run on volunteer parent coaches so it is important you help us in any way you can. We have practice plans, emails, and videos to assist all coaches. The coaches’ meeting is a mandatory meeting for anyone who wants to coach or coordinate in our league this year. It will also be an informational meeting to learn more about our program. NYBA board will assign recreational league teams so as to keep it as fair and balanced as possible. We will coordinate a coaching clinic with our high school coaches and travel coaches for younger grades. 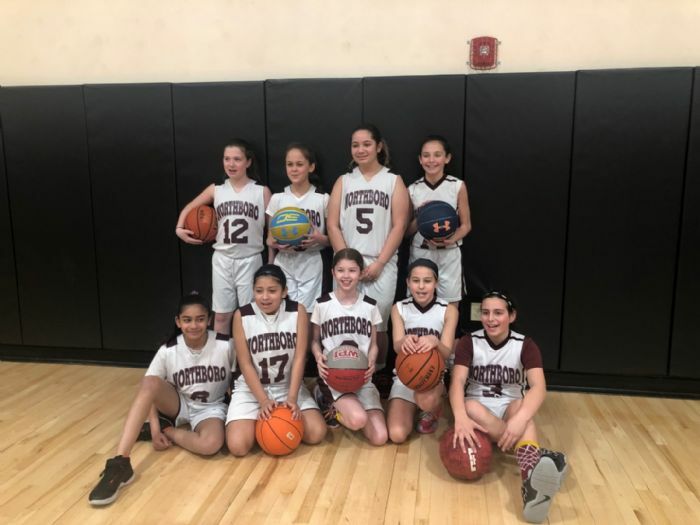 The Northborough Youth Basketball Association, Inc. (NYBA), is a non-profit organization formed and established to provide for the advancement of amateur basketball in the Town of Northborough. Under the direction of its volunteer board of directors, coordinators, and coaches, it will arrange, promote, organize and supervise amateur basketball competition for player’s grade 1 - 8 for residents of Northborough.